Save up to 27% with Flip Scan®! 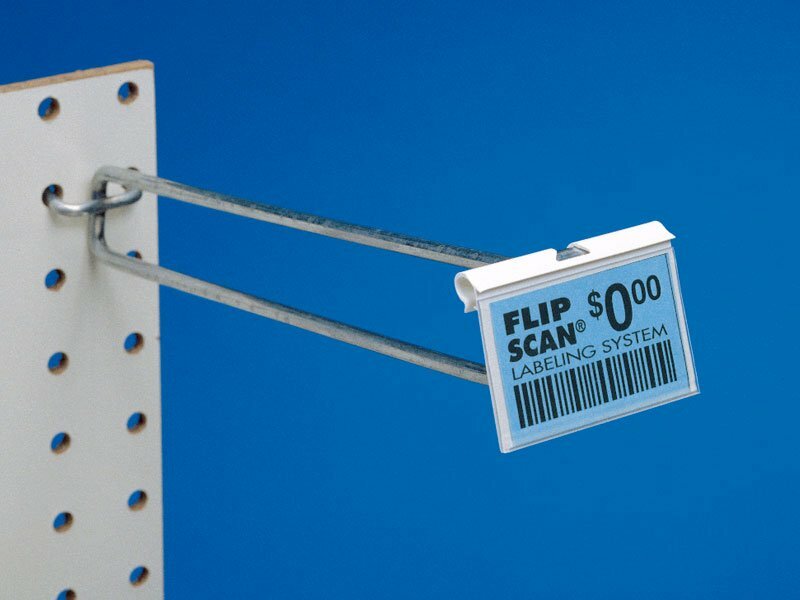 The Flip Scan® scanning hook label holder snaps on securely and stays centered, but flips up, out of the way for quick stocking. 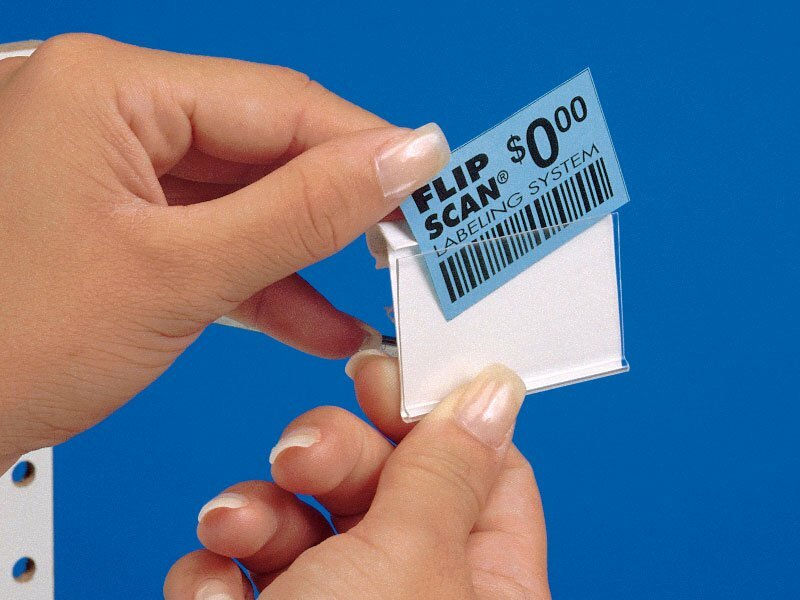 Get Flip Scan for a wide range of label sizes, and for all your display hook needs. 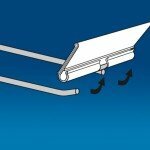 Flip Scan® Plain Paper Label Holders Mount to Flip Scan® and FISH™ Tip. Flip Scan snaps on, stays centered, flips up out of the way for easy access, yet falls back into view to display product information. It flexes open with a touch to accept low-cost plain paper labels, then holds the label securely in place. 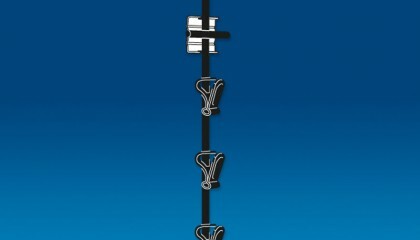 Custom heights and lengths are available. 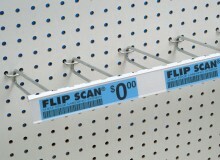 Ingenious new Flip Scan® delivers distinct advantages over ordinary hooks. This new generation of scan hook swings up, out of the way to speed your stocking, reduce product-handling costs, and improve access by your customers. 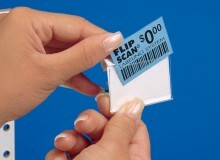 An advanced, plain-paper labeling system, Flip Scan® eliminates the need for expensive, messy, adhesive-backed labels. With Flip Scan®, low-cost paper labels drop in with speed and ease, delivering dramatic savings on labor, materials, and clean up. 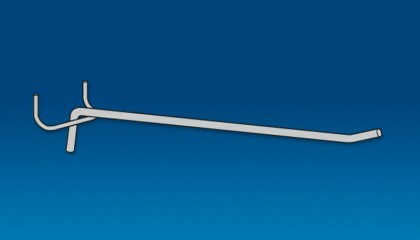 Innovative design and modern materials deliver the lowest-priced, full-featured scanning hook concept available, saving you up to 27% right from the start. It’s difficult to imagine any other simple improvement that can provide you with as many immediate advantages and as quick a return on your investment. Flip Scan® is your logical choice for a functional, plain-paper label holder. Flexing open at a touch, you can instantly insert those low-cost, easy-to-change paper labels. The flexible, see-through front retains “memory,” springing back and gripping your label securely. Readability and scanning accuracy are improved by the high-quality transparent PVC material with built-in ultraviolet protection. This advanced, clear polymer front resists yellowing and darkening better than ordinary plastics, guaranteeing longer life and reducing replacement cost. 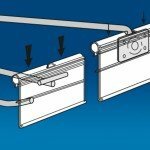 The tough window and integrated roof overhang protect your labels from dirt, wear, moisture and even most spills. 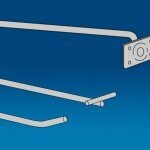 Flip Scan® Label Holders snap solidly onto the hook and stay centered for clear product association and a clean, contemporary look across your display. 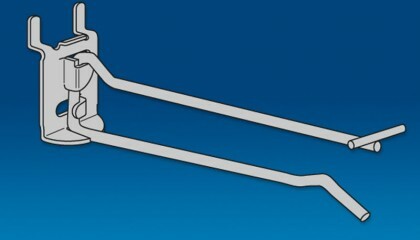 Holders flip up for quick stocking, rapid re-loading, and easy access, then fall back into full view. Shopability is improved through ease of access, positive product identification and at-a-glance readability. 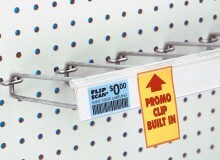 Clever grip clips instantly piggy-back sales messages, graphics and even add small signs to promote impulse buying. Eye-catching Flip Scan® colors attract attention complement or contrast store decor, color code departments, and create a unique environment. Accurately-rendered PMS, RAL or custom colors give you the extraordinary ability to fly corporate colors throughout your stores creating unmatched “sense of place” and customer recognition. Universal in application, Flip Scan® fits all your popular label sizes, and all your display needs … pegboard, slatwall, crossbar, end cap, corrugated and grid. 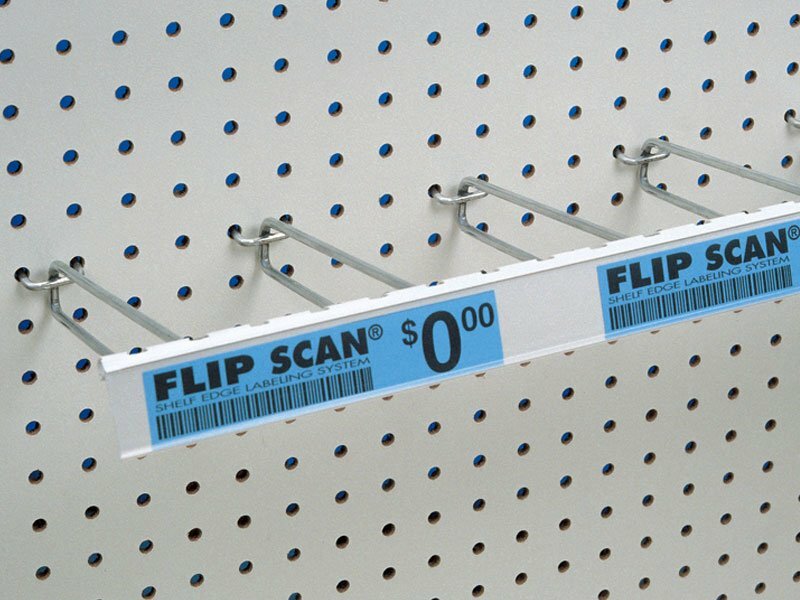 More importantly, Flip Scan® is part of a complete, store-wide label solution … the Clear Scan® Label Holder System. 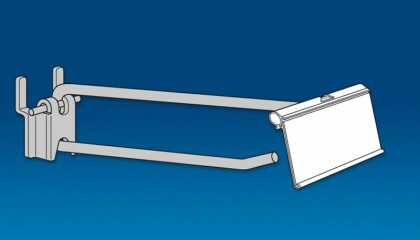 … addressing the requirements of both Display Hook Labeling and Shelf Edge Labeling with fully integrated support for point-of-purchase signs and attention-compellers. The Flip Scan® / Clear Scan System® represents the most extensive results-oriented Label Holder System in the world. 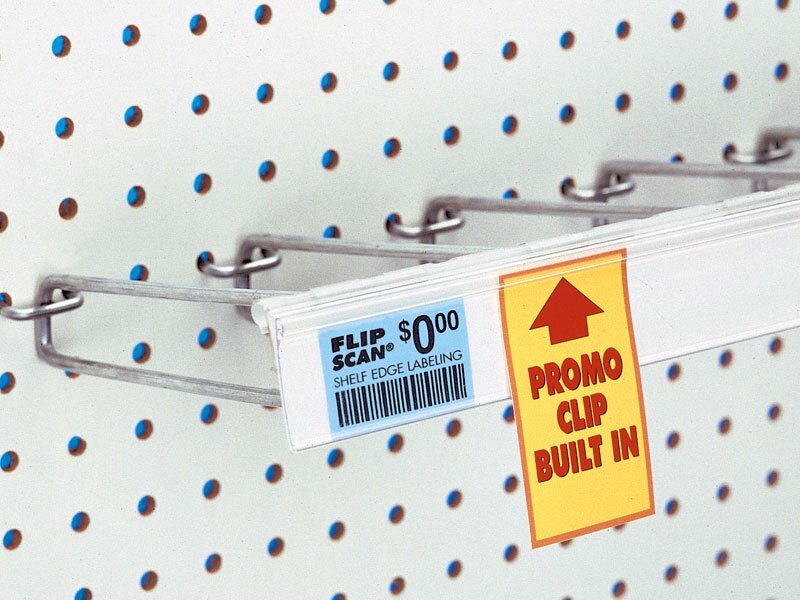 Whether you need the most economical, stand-alone scan hook, the advantages of low-cost plain-paper scanning, advanced Shelf Edge Labeling solutions, or a complete, store-wide “hook and edge” labeling system … turn to Flip Scan® and Clear Scan® by Trion … clearly Superior™.